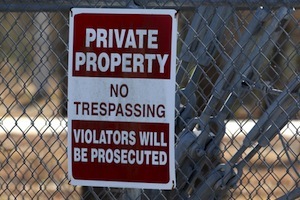 Criminal Trespass occurs when a person knowingly enters or remains unlawfully in a building or remains unlawfully in or upon premises of another. Washington’s Criminal Trespass charges are either misdemeanors or gross-misdemeanors. These crimes are punishable by up to either 90 days in jail and a $1000 fine for a simple misdemeanor, or up to 1 year and jail and a $5,000.00 fine for a gross-misdemeanor. Fortunately, there are defenses. For example, there is no trespass if the building is abandoned, open to the public, or the person accused of the offense otherwise believed s/he had a right to occupy the building or property. If you or someone you care about faces Criminal Trespass charges in Skagit County or Whatcom County, call attorney Alexander Ransom today for a free, no-pressure case evaluation. Alexander has a reputation in the legal community as an aggressive, effective and experienced criminal defense attorney. He is here to assist you through these difficult times.